Stranger in a Strange Land: An Unfilmable Book? 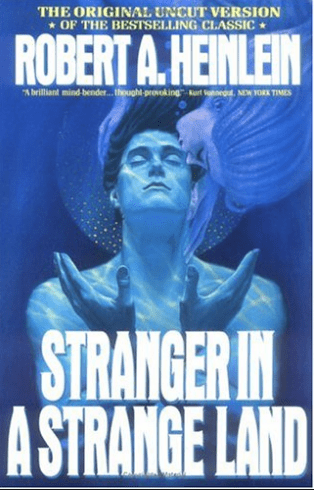 Today, June 1st, is the 55th anniversary of the publication of Robert A. Heinlein’s Stranger in a Strange Land, which tells the story of Valentine Michael Smith, a human raised by Martians and then taken to Earth as an adult. Initially, Valentine Michael Smith (“Mike”) finds the ways of humans difficult to cope with, as he also finds himself a sort of political captive due to his parentage—biological and adoptive alike. As the only child of two famous space travelers and scientists as well as the first Martian to visit Earth, he stands to inherit both his parents’ fortunes and the role of alien emissary. Eventually, following a sequence of bizarre events that you will have to read the book to learn, his position as a free man is secured through the contrivance of eccentric and wealthy author Jubal Harshaw, who also gives Mike some of his first lessons in human social structures and philosophy. With Harshaw’s home serving as his base, Mike goes on to experiment with various careers, all the while honing his understanding of human existence and applying Martian principles to determine how people should live that would make them healthiest and happiest. …all of which many people found problematic at the time of Stranger in a Strange Land’s publication in 1961. Some have “blamed” Heinlein’s work for the free love hippie movement of the 1960s, and the work faced criticism for its depiction of “orgies” and its heretical message (which, once could argue, goes to show that critics hardly understood at all, and could not read past their own prejudices). In any case, the reactions of real people to the fictional Mike were the same as the reactions of fictional people in the book itself to Mike. Thus, it predicted that, although decades may go by and our opinions of what is acceptable will change, we will always react with fear and anger to people living or thinking in a way that is antithetical to our own gut-level beliefs. It happened in 1961 when the book was published, and it happened in the hypothetical future shown in the novel itself. Stranger in a Strange Land has never been adapted for the screen—not directly, not in a way true to its content. Although the book has had enduring popularity among sci-fi fans and general readers alike, and won the Hugo award for best new novel, it is obvious why Hollywood hasn’t yet picked it up. 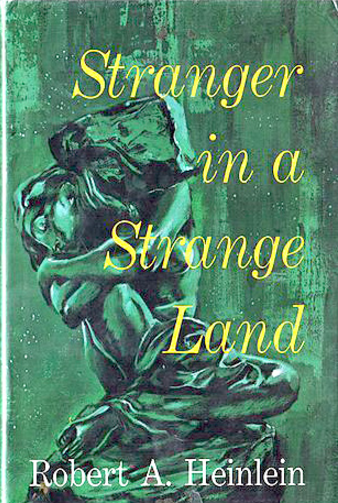 People accused Heinlein of proposing a new model for society by writing Stranger in a Strange Land. Were a studio to produce the film, it would appear, to a vocal contingent, to be an endorsement of Mike’s philosophy. Whoever made the film would be assumed to be in support of “free love,” critical of Christianity, in favor of anarchy, and the film itself would be decried as a piece of liberal propaganda. If it were a question of story alone, then a movie version would almost certainly be in the future. It’s a good story, and a good read, and the opportunity is there for a talented director to make it as enthralling as the book. However, it is not simply a question of story. Stranger in a Strange Land could be adapted by an independent filmmaker willing to court controversy for the sake of art, and maybe that’s what we will have to hope for. It’s possible, however, that the moment has passed. Much of the story is topical, and perhaps needs to be brought forth in popular culture again. Some of the book has been left firmly in the 1960s, however—particularly the obsequious women mysteriously doting on a grumpy old man—and there are newer works that could similarly point out human flaws without using mid-century tropes. Moreover, if we use the book itself as a bellwether for the kind of reception a film true to its source material would receive, then it is clear that we are unlikely to ever see Stranger in a Strange Land on screen. It’s too controversial, and it’s tied too firmly to a specific time period.